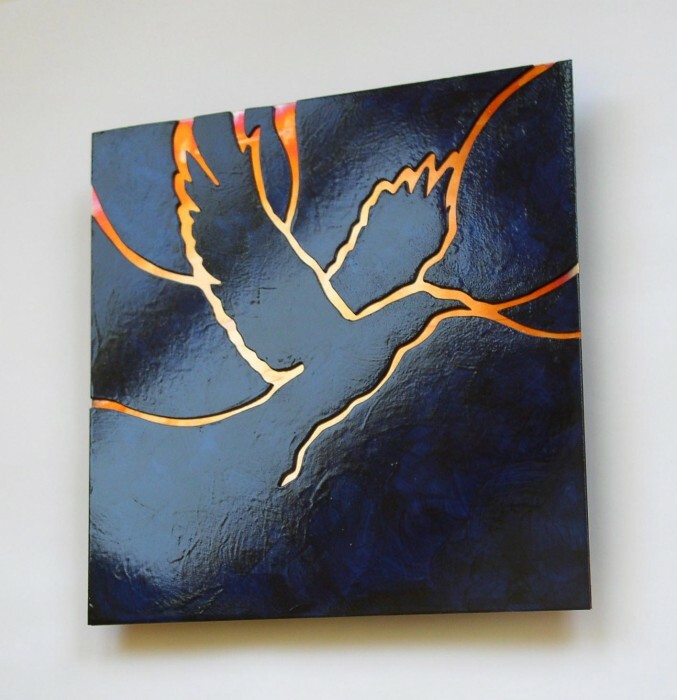 This stunning metal wall art features hand cut copper and zinc raven design in copper and deep blue. Artwork is mounted on a finished wood block with a routed keyhole hanger and comes ready to hang. All surfaces have been sealed to prevent tarnish.